At AASI, our mission is to provide high-quality softball instruction to take young athletes to the next level both physically and mentally. We offer a full range of services that cover all aspects of the game. Our coaches are passionate about softball and providing the instruction athletes need to compete at a high level and to grow as individuals. Coach Mandy Sullivent (Shklar) gradutaed from Sperry HS in 1996 where she was a four year letterman and received All-State honors. She went on to play at Tulsa University where she was awarded Golden Glove Recipient. She then transferred to the University of Mississippi where she was named defensive player of the year her sophomore, junior, and senior years. In 1999, Mandy was chosen to play in the Canada Cup where she was awarded 2nd Team All-American. Mandy went on to be the assistant coach at Ole Miss from 2003 to 2005. 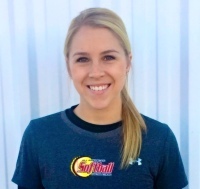 Since 2005, Mandy has been provding both defensive and offensive instruction to young athletes. 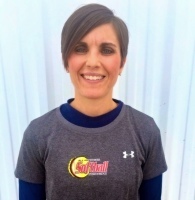 She opened up her own hitting facility in Tulsa, OK in 2013 called All American Softball Instruction. She now resides in Collinsville, OK and is married to Jason Sullivent. They have a daughter named Jaiden and a son named Jett. Coach Lauren Cuddy (Reeves) has worked at AASI since May 2016. She graduated from Union HS in 2012 where she was a two-time state champion and received All-State honors. She went on to play first base at East Central University where she was a four year starter and career .300 hitter. She received All-Conference honors athletically and academically, as well as being awarded a spot on the GAC All-Tournament team in 2015 when ECU won the conference championship. She received her bachelor's degree in Rehabilitation Counseling in 2016 with a 3.9 GPA. 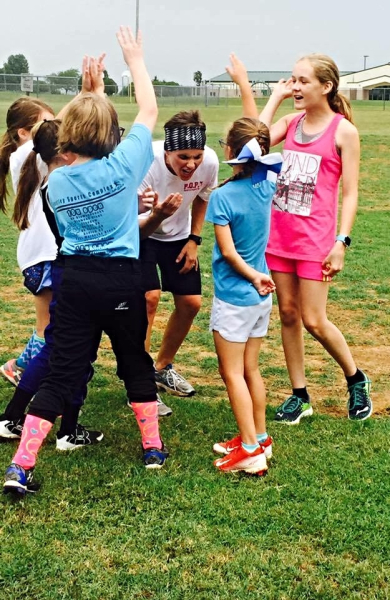 Lauren has been assisting Coach Mandy with camps and clinics since 2012, and was one of Mandy's athletes from age 11 to the end of her college career. Coach Katie Godfrey has worked at AASI since July 2016. She attended and played softball for St. Gregory's University from 2013-2016 where she was a catcher, and Chipola Community College from 2012-2013. During her time at SGU, her team was ranked in the top ten all three years, won two regional championships, and placed 5th at the NAIA World Series twice. During her senior year, she had a .360 batting average for the Cavaliers. She was named to the NAIA World Series All-Tournament team her senior year. At Chipola Community College, Katie was a part of the 2013 state championship team, regional championship team, and went to the NJCAA nationals. At Arnold High School, she received Florida 6A All-State honors as well as receiving All-County honors 3 years in a row. 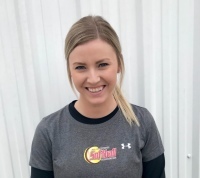 ​Coach Kayci Wortham (Snider) has worked at AASI since March 2018. She graduated from Union HS in 2011 where she was a State Champion and received alternate All-State, All-Region and All-Conference honors. She went on to play catcher at East Central University where she was a three year starter and member of the 2015 Great American Conference championship team. Members of the ECU pitching staff received All-Conference honors all three years in which she was behind the plate. She had a career .988 fielding percentage and finished her senior season with a perfect 1.000 fielding percentage. She received her bachelor’s degree in English Education in 2015. She served as a graduate assistant coach at ECU in 2016. 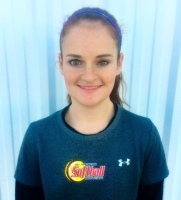 She currently teaches at Coweta Junior High and is the head Junior High softball coach. ​Coach Emily Watson has worked at AASI since September 2018. She was a four-year letterwinner at the University of Tulsa. She made 127 pitching appearances and started 109 games … recorded a 1.69 ERA and a 74-31 career mark with 31 shutouts, five saves, 694.0 innings pitched, 903 strikeouts and a .206 opposing batting average ... finished her career in the program’s all-time top 10 in several categories, including ERA (2nd, 1.69), opposing batting average (2nd, .206), strikeouts (2nd, 903), shutouts (2nd, 31), wins (2nd, 74), games started (2nd, 109), complete-games (2nd, 76), innings pitched (3rd, 694.0), appearances (5th, 127) and saves (6th, 5) ... became the first player in program history to record at least 300 strikeouts in a season twice (348 in 2017, 306 in 2018) ... became the first player in American Athletic Conference history to earn Most Outstanding Player honors at the American Championship twice (2017, 2018) ... was the second TU player to be selected in the National Pro Fastpitch Draft when she went No. 8 overall to the Beijing Shougang Eagles. AASI offers an 8,000 sq. 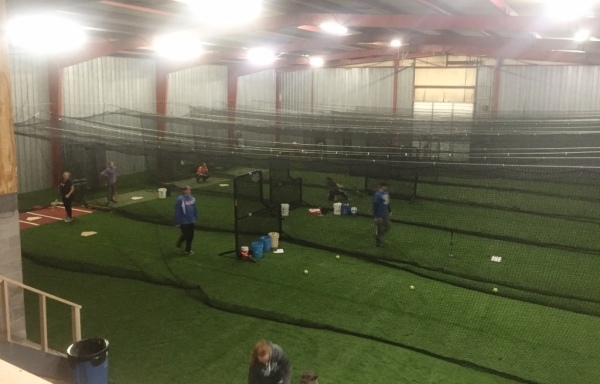 ft. indoor hitting facility with retractable cages. There are four 70 ft. cages as well as two 55 ft. cages.